Exclusive! 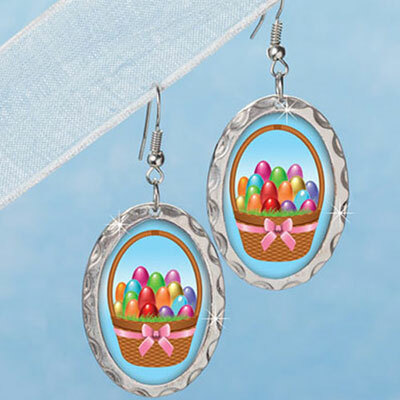 Hop down the bunny trail in style with these charming Easter Basket Earrings! An Easter basket overflowing with colourful eggs adorns each one. French wire. 2"l.
These are colourful and fun earrings for Easter. My only complaint is that they're heavy and hurt my ears if I wear them all day.